The midnight sun is back! I love this season 🙂 Last Sunday, we took the cable car up at 22:30. The cable car now runs until 1:00 in the morning so that people can see the midnight sun from there. What a view! This panorama is taken at about 23:00. The weather was very calm and warm enough to sit down and enjoy the midnight sun with some chocolate and a cup of tea 🙂 The snow is slowly disappearing, but we still had to cross large patches and at times I sank into the snow until my knees! 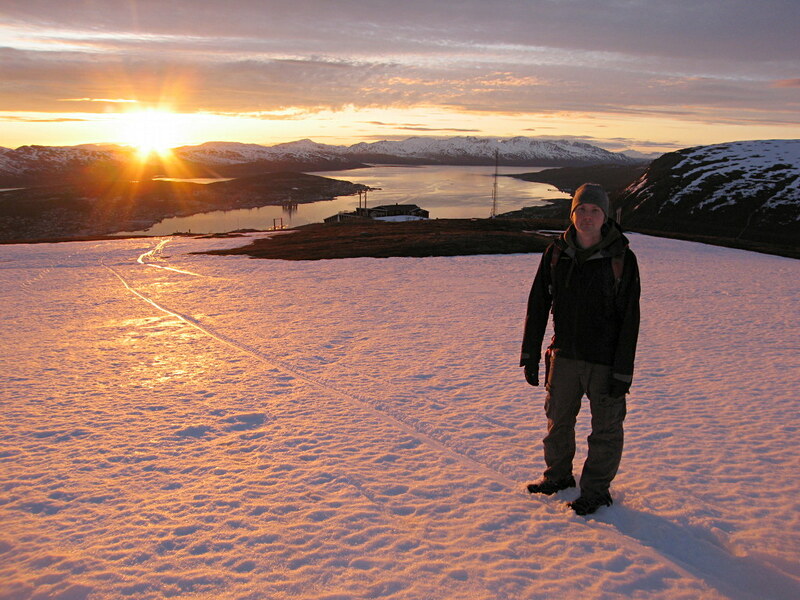 Not long though until I can go hiking… Ti på Topp is starting on Sunday, can’t wait! 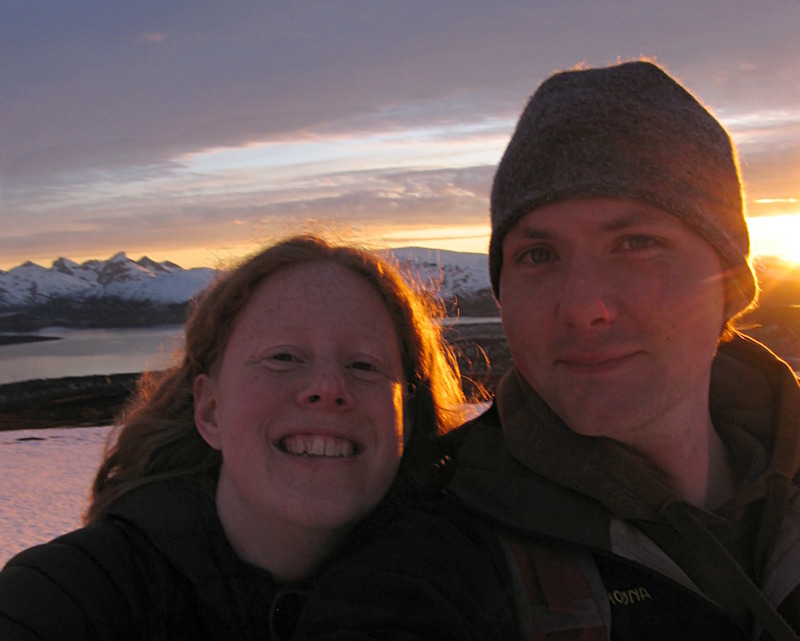 I always get a bit jealous when you have midnight sun in the summer, and even when you have midday dusk in the winter. Something about the arctic seasons makes me want to return. I love all these pictures you post. The panorama is beautiful as always, and you look so happy in the picture with you both! Greetings from the biggest Norway-lover in England! Thanks 😀 The light is so special here!